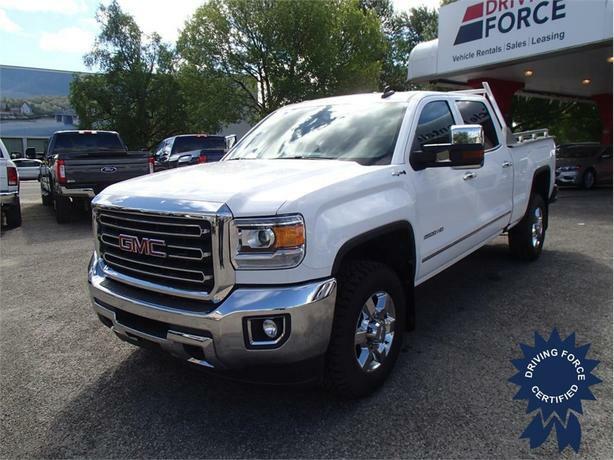 With its substantial abilities and comfortable nature, the 2016 GMC Sierra 2500HD is an excellent choice for a heavy-duty truck. All pickups are designed to work hard and play hard, but some tasks require more muscle than others. If nothing less than the strongest, toughest truck will do, you'll want a heavy-duty model like the 2016 GMC Sierra 2500HD. The large Sierra offers a standard 360-horsepower 6.0-litre V8 gas engine, a 4.10 rear axle ratio, 18-inch tires, an 8-inch Diagonal Colour Touch Screen with IntelliLink, AM/FM/SiriusXM, WiFi hotspot, remote engine start, a backup camera, and much more. Drop us your contact info using our handy form.